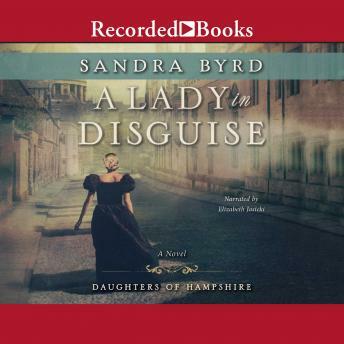 In this intriguing novel of romance, mystery, and clever disguise set in Victorian England, a young woman investigates the murder of her own father. After the mysterious death of her father, Miss Gillian Young takes a new job as the principal costume designer at the renowned Theatre Royal, Drury Lane. But while she remembers her father as a kind, well-respected man of the Police Force, clues she uncovers indicate he'd been living a double life: a haunting photograph of a young woman; train stubs for secret trips just before his death; and a receipt for a large sum of money. Are these items evidence of her father's guilty secrets? His longtime police partner thinks so. Then Gillian meets the dashing Viscount Thomas Lockwood. Their attraction is instant and inescapable. As their romantic involvement grows, Gillian begins to suspect even Lockwood's motives. Does Lord Lockwood truly love her? Or is his interest a front for the desire to own her newly inherited property? And what should she make of her friend's suggestion that Lockwood or men like him were involved in the murder of her father? Soon Gillian is convinced that her father has left evidence somewhere that can prove his innocence and reveal the guilty party. But someone wants to stop her from discovering it. The closer she comes to uncovering it, the more menacing her opposition grows. With her life on the line, Gillian takes on an ingenious disguise and takes on the role of a lifetime to reveal the true killer-before it's too late both for her and for those that she loves.